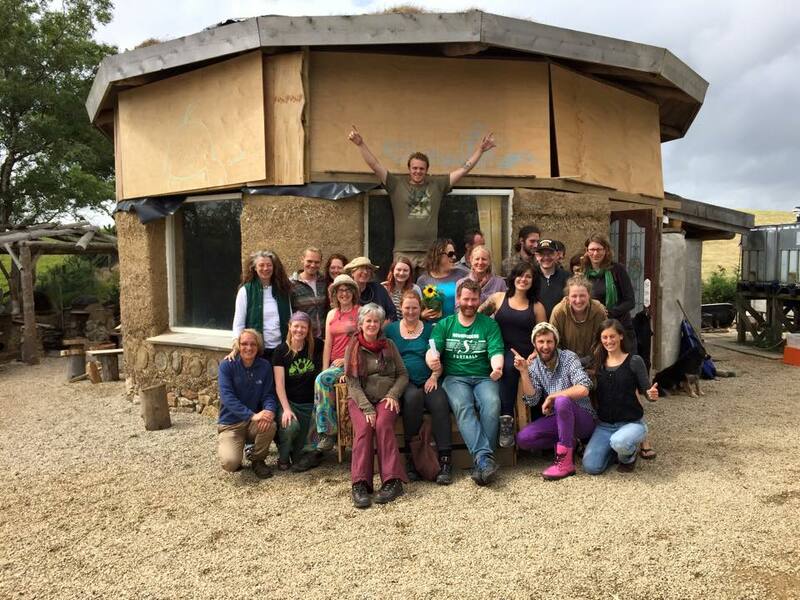 Having discovered Permaculture a little over 3 years ago, & spurred on by my first “Intro to Permaculture” weekend with Kevin Mascarenhas of Natural Flow in London, completing a Permaculture Design Certificate was the natural progression for me. With many inspiring Permaculture hubs worldwide, I was keen to find a location facing the same major conditions we face here in Donegal (acidic soil, high annual rainfall & higher winds!). Could a Permaculture approach to land management really be applicable on a larger scale site in our wet climate? Enter Suzie Cahn & team at Carraig Dulra. As is typical for a PDC, this course was to be residential & fully immersive. All in all, we were 20 people from various backgrounds, & with very different objectives, all coming together in pursuit of a common goal. Initially a little overwhelming, I ended up learning a lot from that disparate bunch & it is only with hindsight that I can truly appreciate that there was more than one Permaculture Principle in action with this arrangement! Lusi, Hannah, Barry & Suzie did a great job of leading us through the course syllabus & inviting discussion to further explore the subjects at hand – often at much detriment to their well planned timetable! On a number of evenings we had sessions in which the tutors spoke of their own journeys in Permaculture; where it all started for them & what their aspirations were. For me, this was a particularly interesting dimension which will undoubtedly help me further refine the vision for my own journey. Like a lot of people, I attended the PDC to gain specific, tangible skills which I could then go away & put into practice. Instead, I look back & realise that the true value of this experience for me was not in learning how to map contours, whittle a butterknife or build using straw bales, but in learning the true value of observation & in discovering the tools which help drill down to the very crux of a design problem. Personally, I find that the PDC experience has ultimately boiled down to a message of empowerment. We cannot all be master Horticulturalists, Gardeners, Surveyors, Artists or Builders; but we all have the ability to learn & to progress from whatever point we currently find ourselves at. I now understand that everybody has their own version of “Permaculture”, coloured by individual paradigms & expectations. It is merely a philosophical toolkit which can be applied to any number of situations to produce a symbiont solution; there’s no hocus-pocus or “one-size-fits-all” solution involved. So, where to from here for me? Well, in the words of one of our guest tutors, Gary Dalton, “the way to eat an Elephant is one bite at a time”. I am halfway through the observation phase of a particular 20 acre site close to home & will be mapping contours in the next fortnight. I’ll post an update when I have some output to share with you all from that.